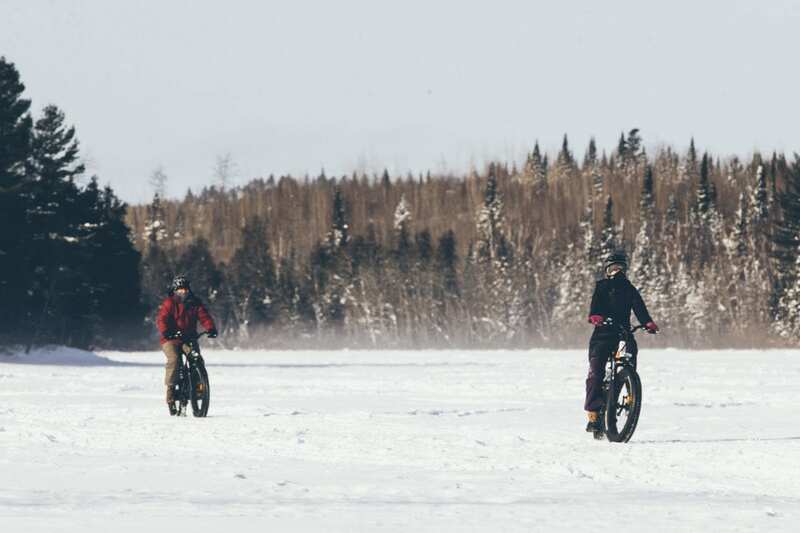 You can now ride fat bikes and electric fat bikes at Gunflint! These all terrain, all season bikes allow you to ride on trails and on snow or sand that you wouldn’t be able to get through even on a mountain bike. They are perfect for exploring the Northwoods! 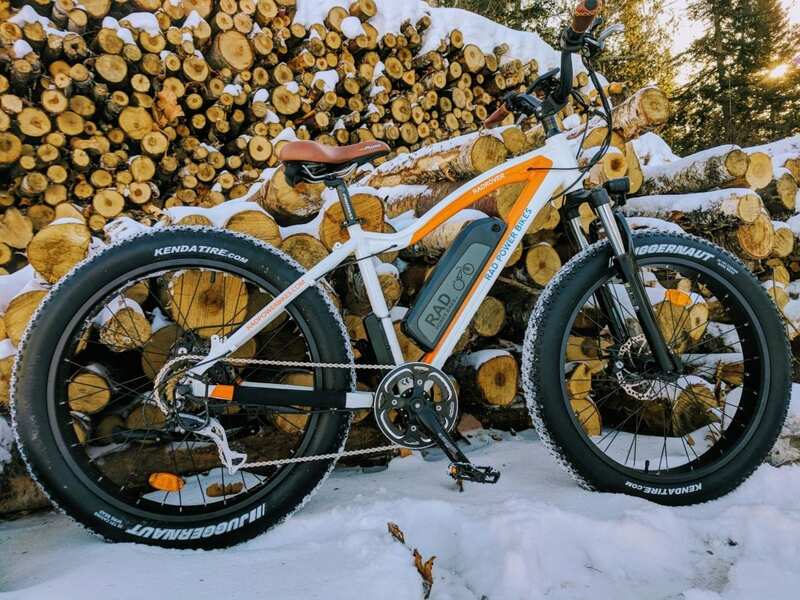 We now have electric fat bikes! These fat bikes have a powerful battery and electric motor to help with powering up the hills and through the snow. They are really fun to ride. With the purchase of a trail pass you can experience over 12 miles of our trails or venture out onto Gunflint Lake for a ride along the international border! Make sure you call ahead to reserve because they are very popular for our guests. Payment required at time of reservation. Cancellations made more than 72 hours in advance will be refunded 50%. Sorry, but no refund will be made for cancellations with less than 72 hours notice. Call for availability and to reserve your rental!